A Musical Moment - Porcelain Couple - plays "Speak to Me of Love"
This lovely Fine Porcelain Lady sits on a bench and plays her violin as her admirer, seated next to her, holds her music and looks on. This lovely piece measures approximately 6" wide and stands about 6" tall. It plays "Parlez Moi D'Amor" or "Speak to Me of Love" and comes in a beautiful blue presentation box. 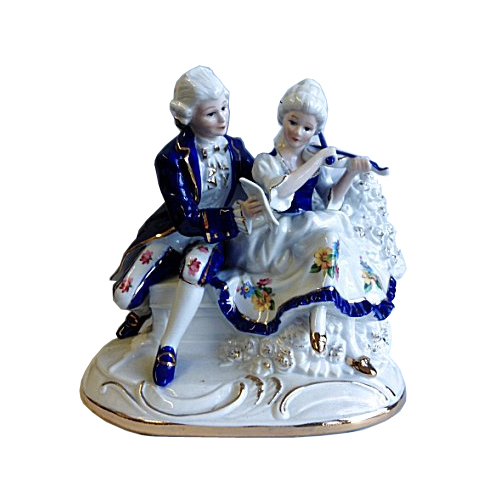 A lovely addition to a music box collection or just a lovely gift to someone who loves music.